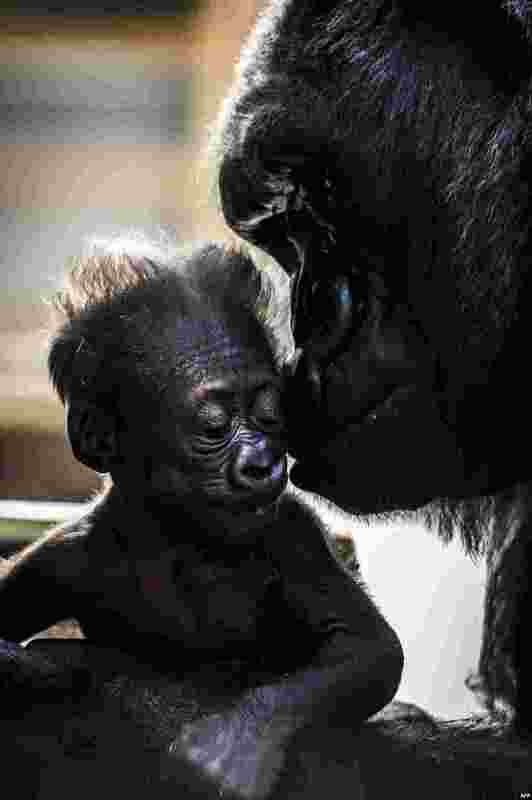 ١ Female gorilla Gypsy holds her four-week-old first baby at the zoological park of Saint-Martin-la-Plaine, France. 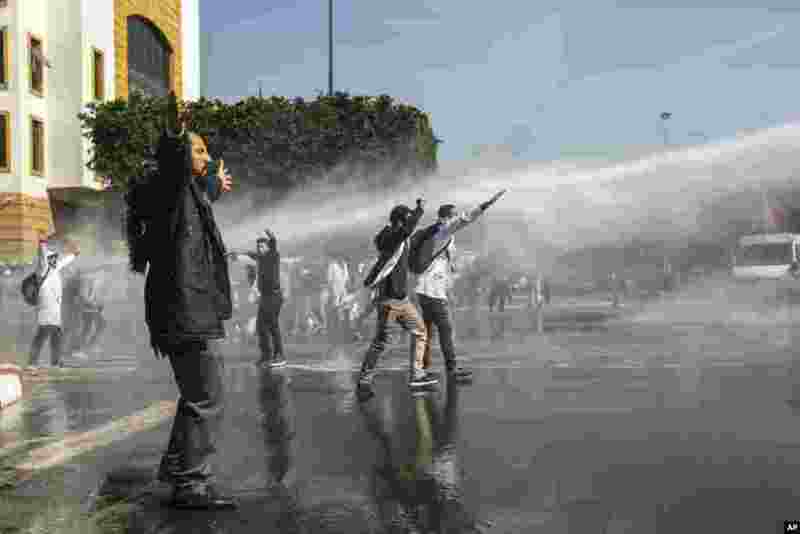 ٢ Security forces use water cannons to disperse protesting teachers in Rabat, Morocco. 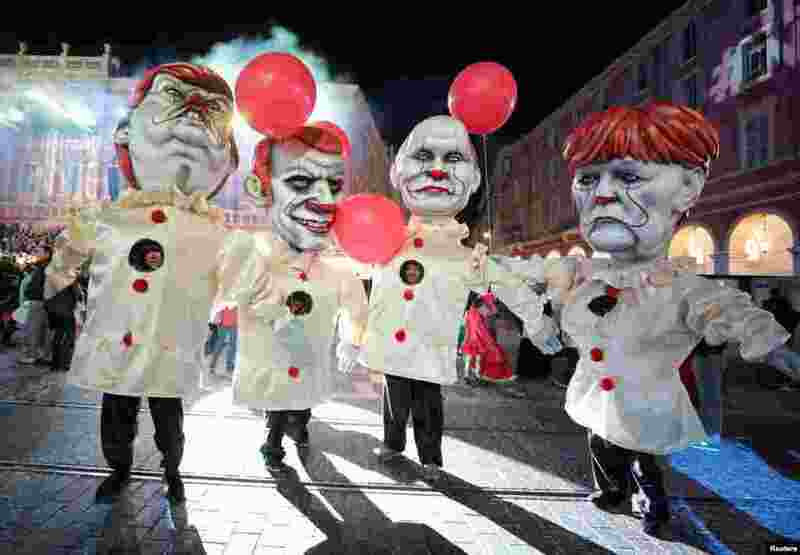 ٣ Giant figures of French President Emmanuel Macron, German Chancellor Angela Merkel, U.S. President Donald Trump and Russian President Vladimir Purin are seen during the 135th Carnival parade in Nice, France. 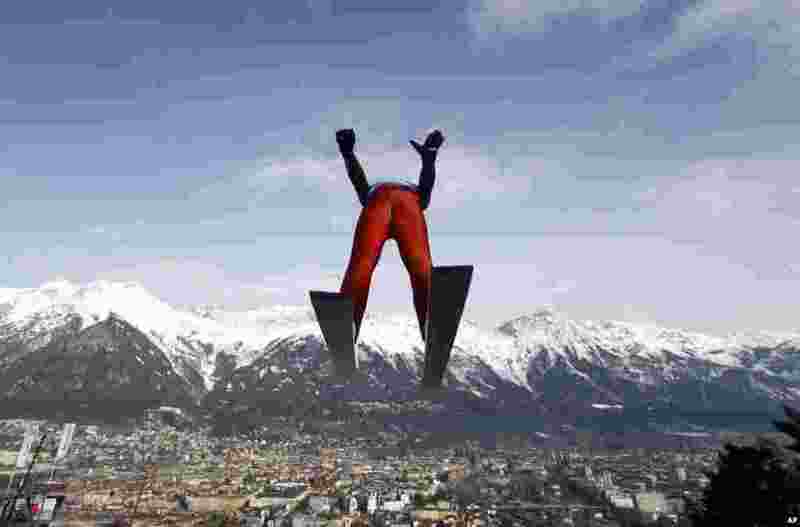 ٤ United States' Ben Loomis soars through the air during training for the Nordic Combined HS130, at the Nordic ski World Championships in Innsbruck, Austria.